We provide complete Switchable PDLC Glass with already made bus bar, customers just directly install to where they wanted. 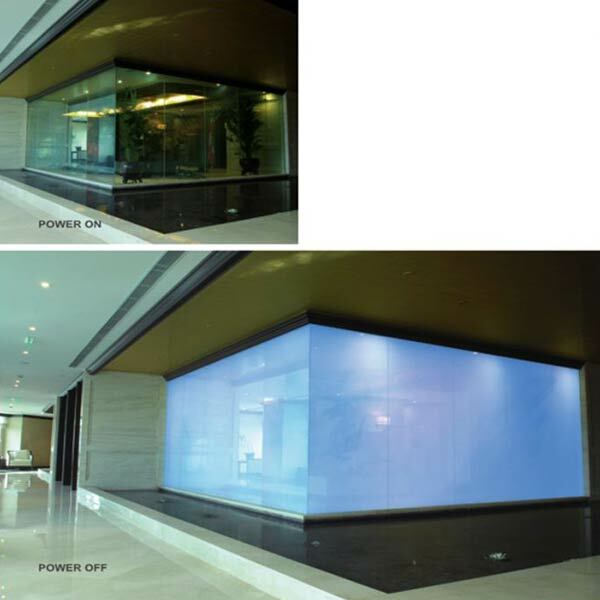 Switchable PDLC Glass has longer life than self-adhesive, since the switchable film is well protected by glass. Switchable PDLC Glass is a special laminated glass, which is made of one piece of PDLC Film, two pieces of interlayer (as EVA), two pieces of glass. When no electricity is applied, the liquid crystal droplets of PDLC Film are randomly oriented, creating an opaque state. When electricity is applied, the liquid crystal line parallel to the electric field and light passes through, creating a transparent state. 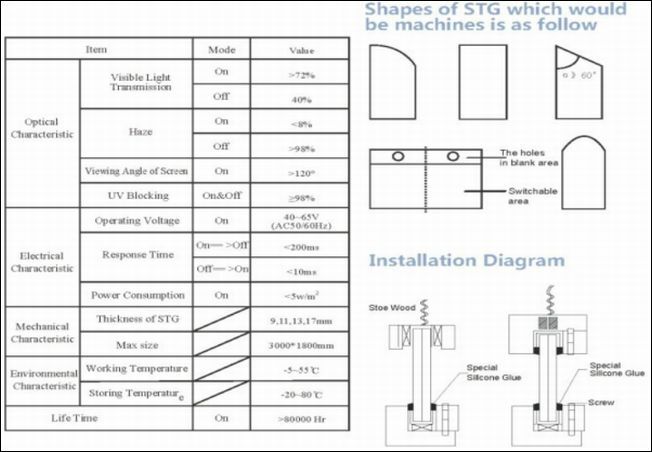 Anti-UV : STG can obstruct over 90% ultraviolet radiation. Security : STG will not hurt people if it were broken, because the broken glasses are still stick on the STF.